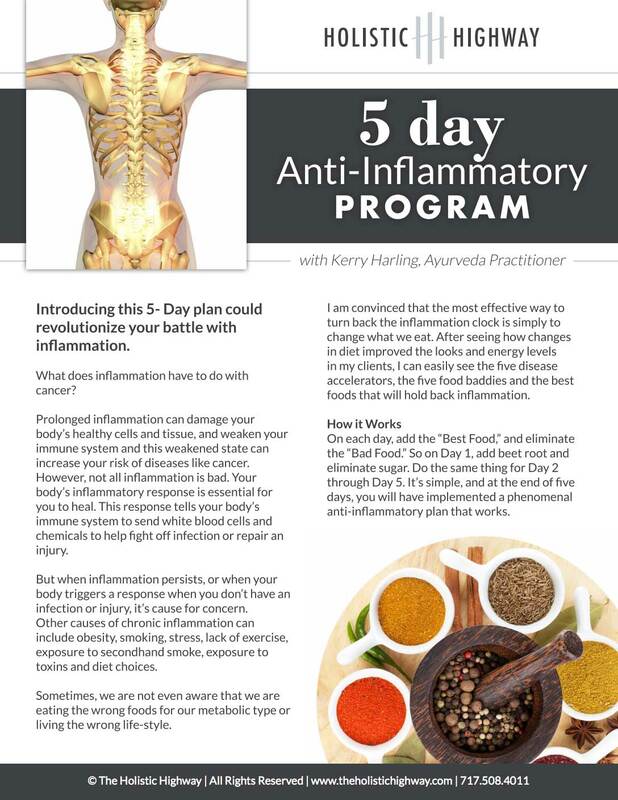 Enter your email to get your 5 Day Anti-Inflammatory Program! Understand why inflammation is the underlying cause of many health problems (including yours) and how to reduce it. Receive a 5 day dietary plan that is proven to reduce inflammation immediately. Most importantly... Feel better after just 5 days! !